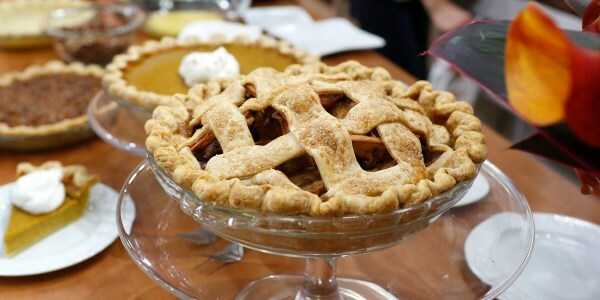 These delicious apple pies are perfect for fall entertaining. 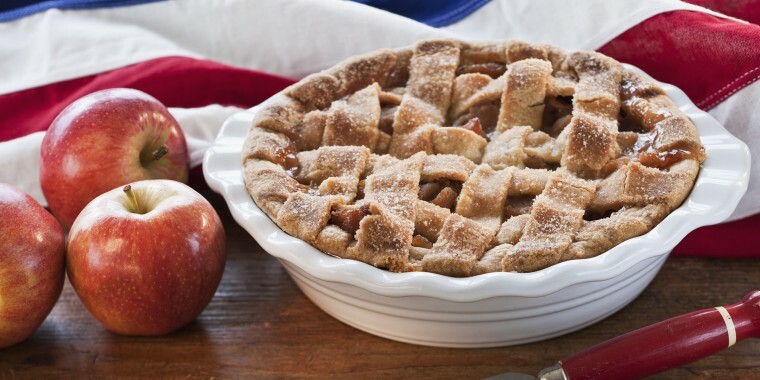 There's no dessert that's more all-American than warm, freshly baked apple pie. This classic treat has been gracing dining tables across the country for hundreds of years. It is a sweet staple that is perfect for enjoying anytime of year, but especially during the fall season, when apples are at their best and people go apple picking. Not every apple pie has to be made completely from scratch. If making homemade pie dough is too much of a hassle, consider picking up a frozen pie crust at a grocery store. It will still taste great once it's filled with the fruit and a few other ingredients, then baked. 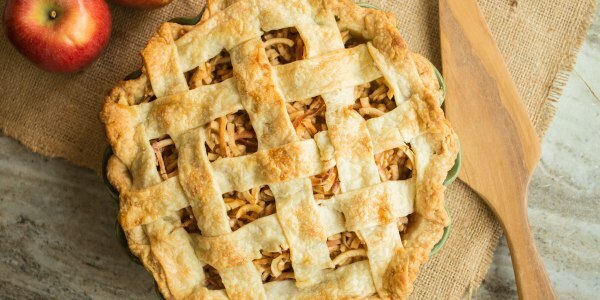 Here are 10 delicious apple pie recipes to bake for Thanksgiving or anytime this apple season. Making the dough for this all butter pie is easy as, well, pie! It's made with six ingredients and comes together very quickly. 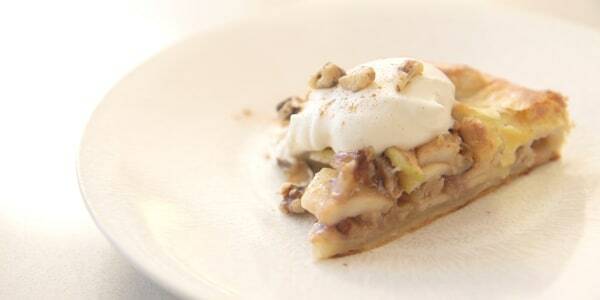 By adding cream to a traditional apple pie filling, this dessert becomes a caramel apple pie. 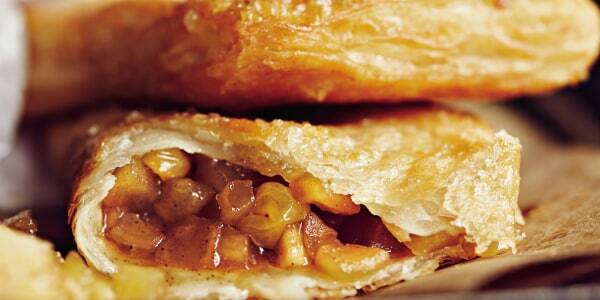 What could be better than soft apples, sticky caramel and a buttery homemade pastry crust? Nothing! Use a mix of apples for the best and fullest flavor. A combination of Golden Delicious, McIntosh, Granny Smith and Rome apples works particularly well. Crunchy pecans add a distinctively Southern touch to this piled-high pie that is practically bursting with sweet and tart green apples. The caramelized topping seals in all the juicy fruit and gives the pie a pleasant crunch in every tasty bite. "This is an easy dessert that I love making," said TODAY's West Coast anchor Natalie Morales. "The beauty is that it doesn't have to be perfect, it's rustic, after all! It's also easy to customize. You can make it with any fruit or even go for a savory version to serve for brunch." This pie proves that spiraliazers are good for more than just veggies. 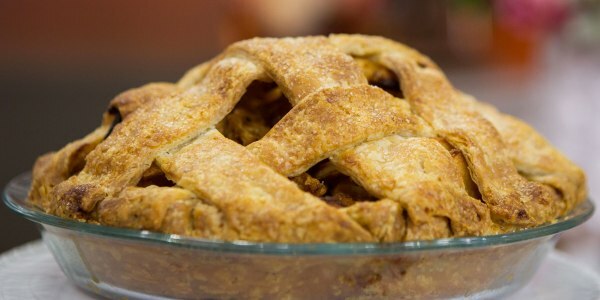 The handy kitchen tool makes quick work of the crunchy fruit to get the tender crust filled and baking in the oven fast. Keep this pie classic with 100 percent apple flavor, or toss in a few handfuls of dried fruit or nuts to make it taste even more like fall. 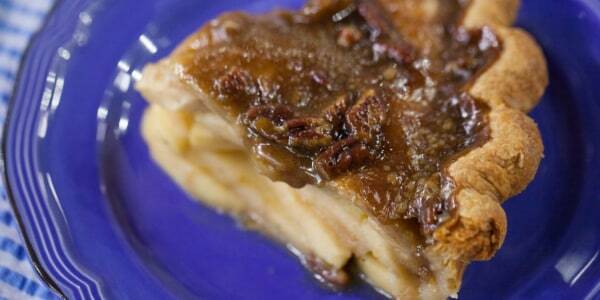 Chef Marcela Valladolid's apple slab pie recipe is scented with cinnamon and Mexican dark brown sugar. The delicate leaf designs add a festive and creative finish to this easy-to-assemble pie. It's absolutely perfect for autumn entertaining. 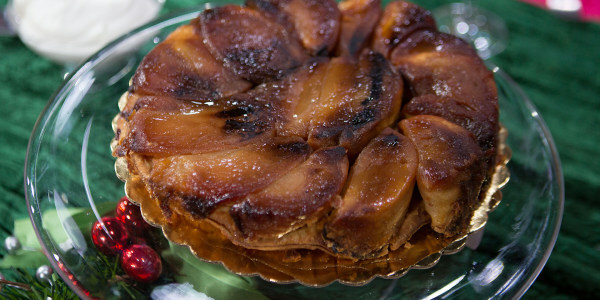 One of the great delights in baking is that moment when a tarte tatin gets flipped out of the skillet. Suddenly, the dark golden color of the apples is revealed and the dessert's seductive aroma is released. 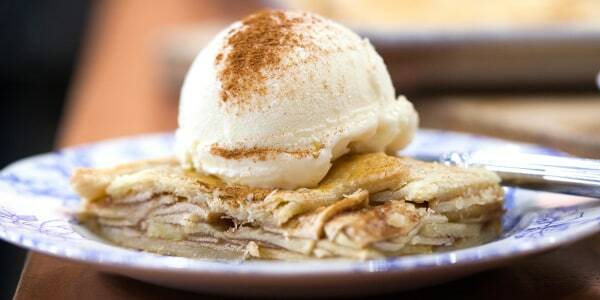 Substituting maple syrup for some of the sugar gives the classic French dessert an American-style apple pie flavor. Copycat recipes don't get much closer to the real thing than these tasty fast food-inspired individual apple pies. They may be even better than the original apple pies at McDonald's! Their hand-held size makes them kid-friendly and easy to eat on-the-go. Cinnamon, nutmeg and cloves are the flavor trifecta that makes this pie taste like the holidays. Tart cranberries add tangy flavor and a gorgeous festive red color to star chef Curtis Stone's classic apple pie. Don't forget to serve each warm slice with a big scoop of cool vanilla ice cream on top. 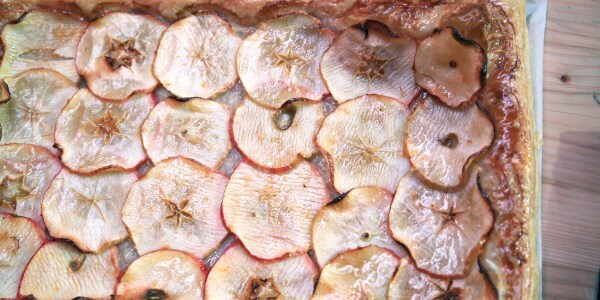 Use a sheet of store-bought puff pastry as the base of this quick and easy apple tart. 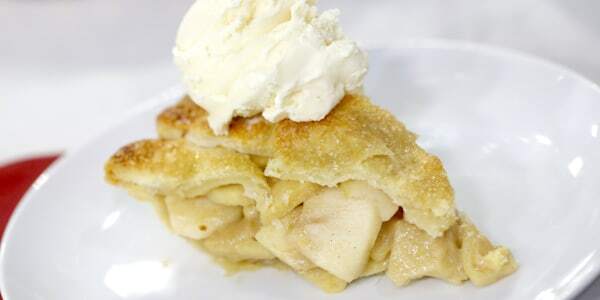 It's a great alternative to classic apple pie. Give the apples a little boost of flavor with a quick toss in lemon juice and fresh ginger, and then brush the finished tart with apricot preserves for an effortless, glossy finish.